The black-and-blue GMT-Master II follows the evolutions introduced on the Pepsi... And the rest of the collection is cleaned! While the big one for Rolex this year was the introduction of the new Yacht-Master 42 – not such big news in itself, since it is really the evolution of an existing model – the overriding theme for the rest of the collection was more about consolidation than renewal. In all fairness, not the most impressive year for Rolex. 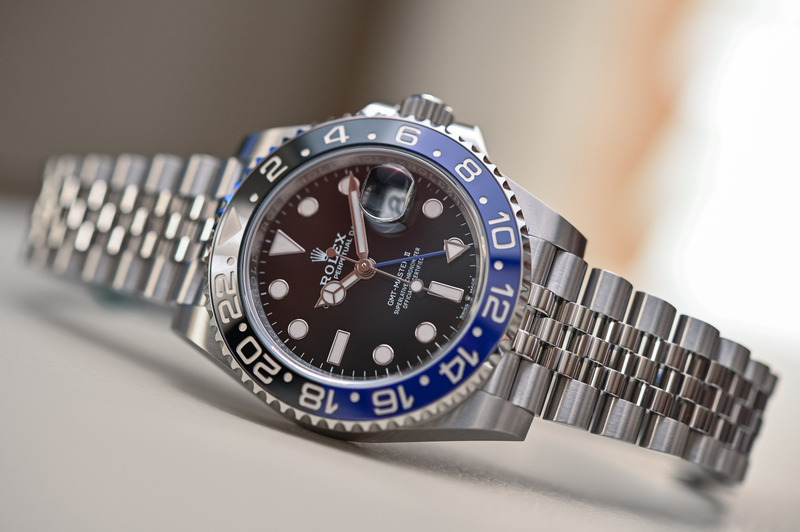 Yet, there’s a new version of the Rolex GMT-Master II Batman on its way, under the reference 126710BLNR, which follows in the footsteps of the Steel Pepsi. This (sort of) new version of the Batman is pleasant enough, yet not entirely unexpected, and it might not even be the most interesting thing to note in the GMT-Master II collection. Yes, there is also a new Meteorite dial edition of the White Gold Pepsi, but then again, that’s not the main point of interest. 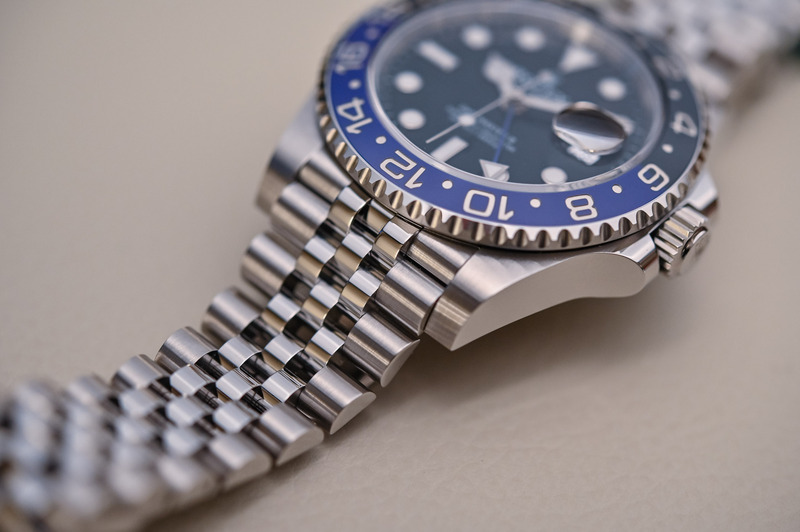 What is much more noticeable is how Rolex is drastically changing the entire GMT collection by removing references and adding some new “rules”. This will be the second part of this article. Let’s now look at the new Rolex GMT Batman x Jubilee. 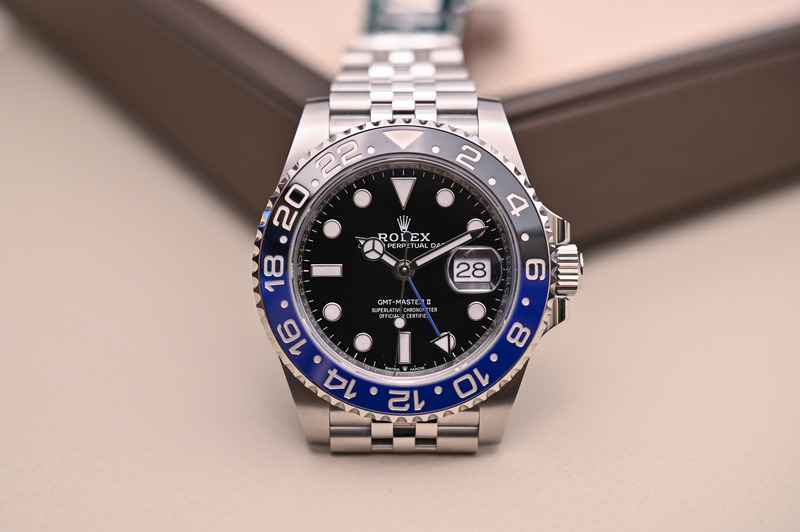 Last year, at Baselworld 2018, Rolex introduced the GMT-Master II 126710BLRO, the pinnacle of the collector’s dream watch, the watch that most Rolex enthusiasts were waiting for, the watch that was on all lips at the fair and certainly one of the most difficult watches to get your hands on at an official dealer. In short, the Pepsi bezel (still existing in white gold) was finally back in a steel case, and with a new movement, and with a Jubilee bracelet… Quite some changes indeed, and quite a desirable watch overall. 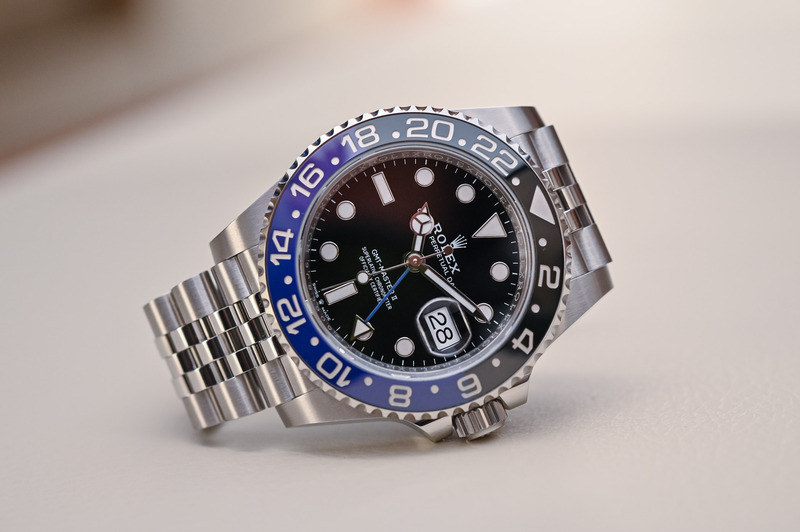 This year, Rolex takes the exact same recipe and applies it to the other (almost) unattainable reference in the GMT collection, the Batman – the black and blue model. 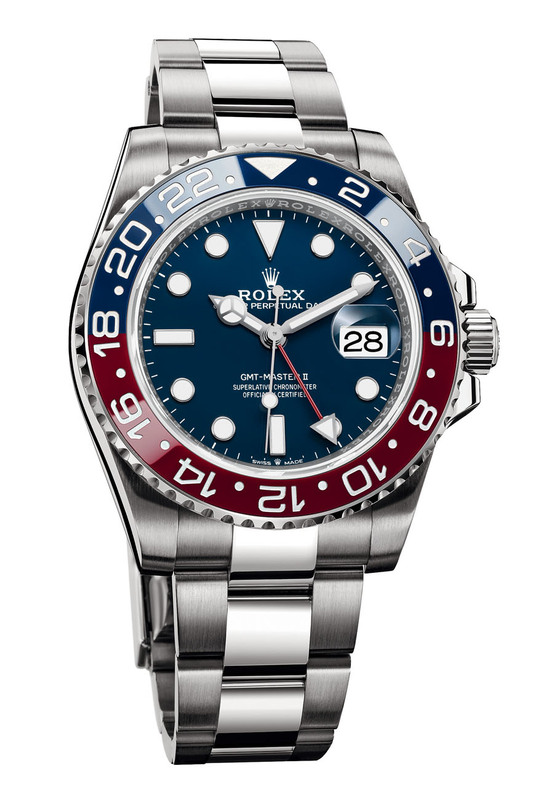 Last’s year Pepsi was a true innovation (Rolex-speaking, of course) and while there’s a lot to love in the “new Batman”, the effect is certainly less striking. A sort of deja-vu feeling that blankets the “novelty effect”. Nevertheless, the 126710BLNR has some arguments in its favour. It is based on the desirable, pleasant and well-known BLNR model, which combines a steel case, a black dial with a blue GMT hand and a bi-colour ceramic bezel, mixing black for the nighttime hours and blue for the daytime hours. This doesn’t change on the new 126710BLNR, which keeps the same bezel as before. The blue colour is still rather bright and could be slightly more discreet – but that’s a personal take on this watch. So, what has changed? Well, just like the Steel Pepsi, the case has been slightly redesigned, mainly due to the integration of the new end-links. Don’t expect a non-maxi case here, the redesign only affects the lugs, which appear a bit shorter and more curved. The dimensions of the 126710BLNR are exactly the same as the now-discontinued 116710BLNR, with a 40mm case and a height of 12.5mm – typical proportions for a Rolex sports watch. 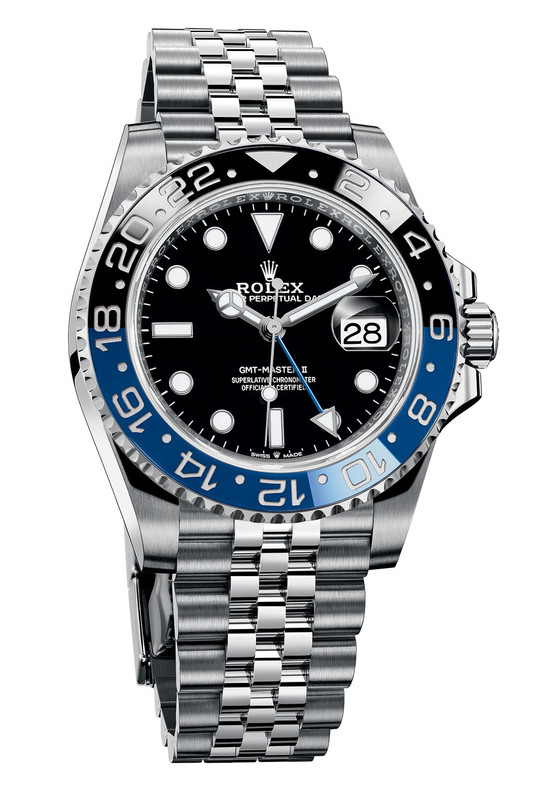 The bracelet has been updated on this new GMT-Master II Batman, which is now equipped with the 5-link Jubilee bracelet. Supple, extremely well-executed, comfortable on the wrist, the bracelet that is usually reserved for dress watches has been slightly modified with the launch of 126710BLRO and now features a solid folding buckle with Oysterlock and 5mm Easylink extension (like most sports models). This bracelet gives the new Batman some more elegance and a different appeal on the wrist. 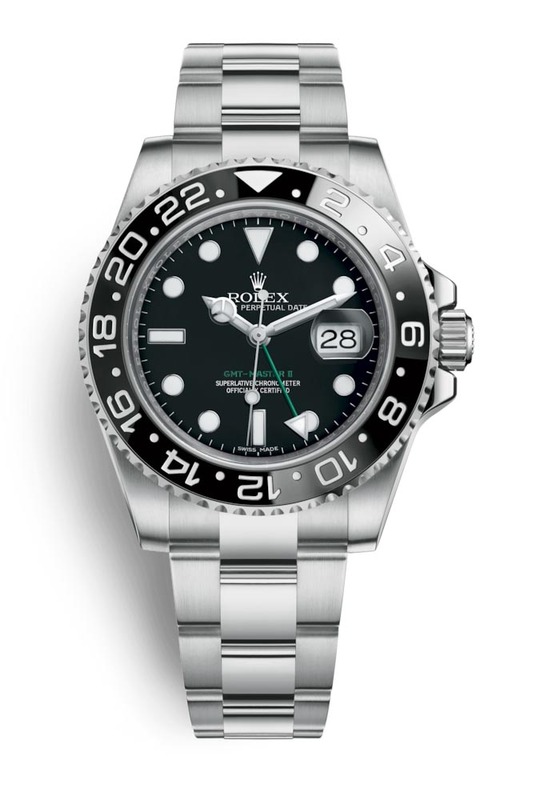 As for the dial, no updates compared to the previous version, expect the addition of a small crown logo between “Swiss” and “Made”, indicating the presence of a new movement. The 126710BLNR follows in the steps of last year’s model and is fitted with calibre 3285. Part of Rolex’s new generation of movements, it features a more efficient escapement and gear train, a longer power reserve (70 hours vs. 48 hours previously) and a new variable-inertia balance wheel. The movement is certified Superlative Chronometer and comes with a 5-year warranty. Altogether, the new Rolex GMT-Master II 126710BLNR is pleasant, perfectly executed and now in line with the rest of the collection. It was a necessary evolution, clearly not a revolution. 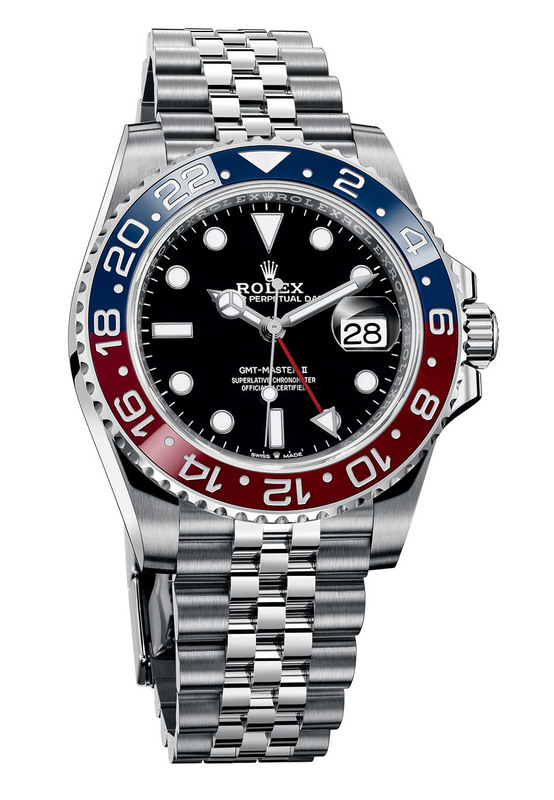 Still, Rolex had to consolidate its GMT line. The 126710BLNR will be available at a price of EUR 8,500, the same price as the BLRO. As for the availability, nothing has been confirmed yet, but expect it to arrive quite fast at retailers. 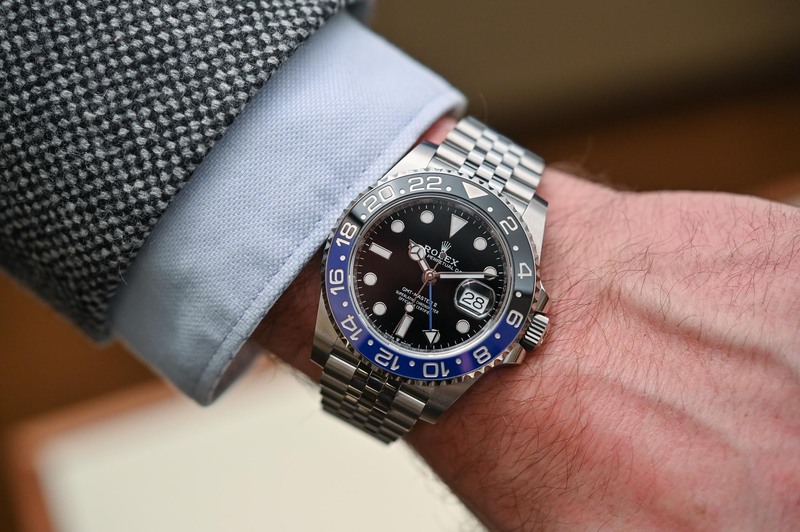 The main issue will be that the Batman has always been one of the most difficult watches to get at Rolex authorised dealers and this new version won’t change the situation – far from that. 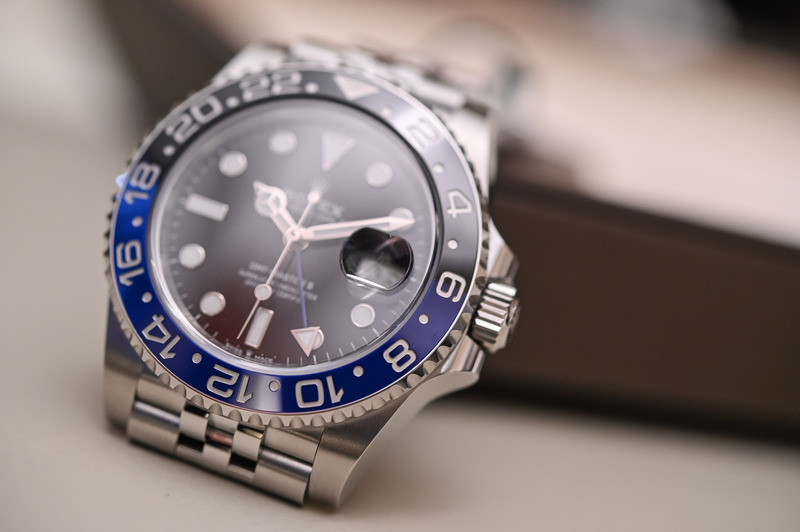 The 126710BLNR will be another model to create desire/frustrations for collectors, difficulties for retailers and (sadly) joy for grey-market sellers. 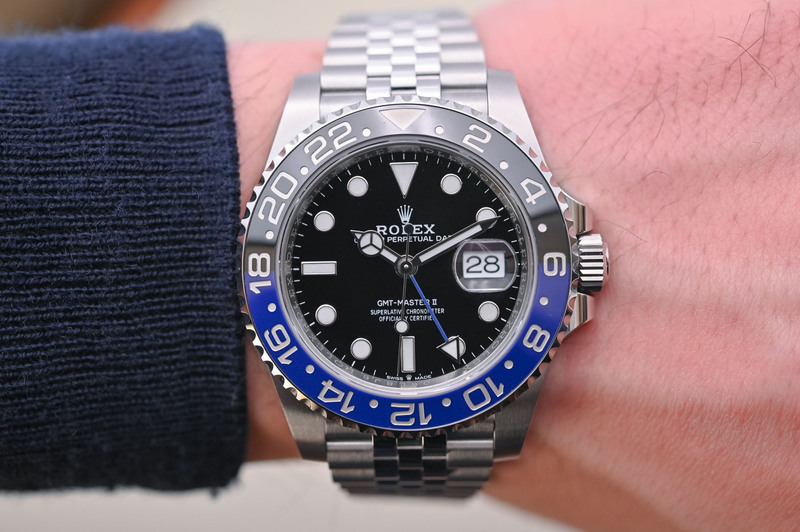 As mentioned at the beginning of this article, apart from the introduction of this new reference 126710BLNR and the meteorite Pepsi white gold reference 126719BLRO, Rolex has been quite active on the GMT-Master II collection this year. This range has been rationalised and also redefined with clear codes. In the words of Rolex itself, the GMT-Master II collection needed more coherence. Until last year, it comprised 9 references, 4 different bezels, 2 different bracelets, 5 different metals, and 2 different movements. Rolex brings more clarity this year, with one simple rule: every GMT-Master II watch must, as of 2019, feature a bi-colour bezel – something that has always been part of the DNA of the watch. In addition to that, all models now feature the new generation calibre 3285. Above: the four models discontinued in 2019 – Ref. 116710LN, Ref. 116713LN, Ref. 116718LN black dial and the Ref. 116718LN green dial. What does that mean in terms of available models? 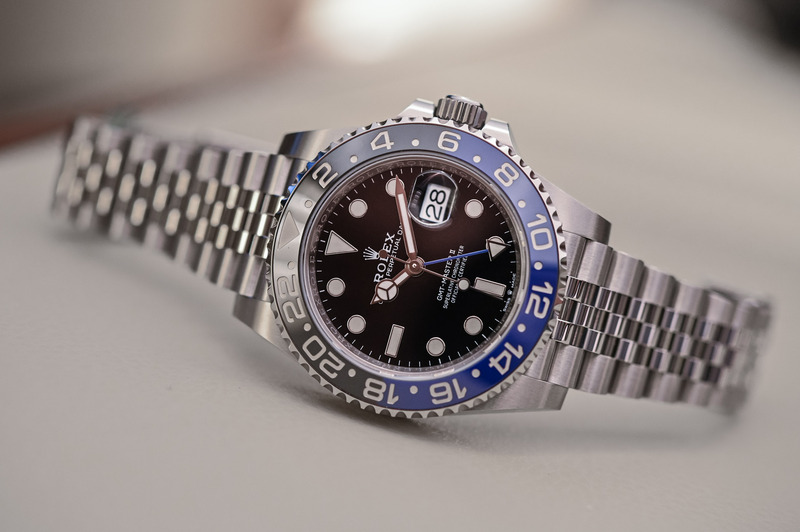 First, four references have been discontinued at Baselworld 2019. The two yellow gold models, both reference 116718LN with black ceramic bezel, with black or green dial, are out of the collection. In the same vein, the yellow Rolesor model with black dial and bezel, reference 116713LN, doesn’t exist anymore. Finally, the classic steel model with black dial and black bezel, reference 116710LN, is also gone. The collection only comprises two steel models now, the BLRO and the BLNR. No more yellow gold options are available. 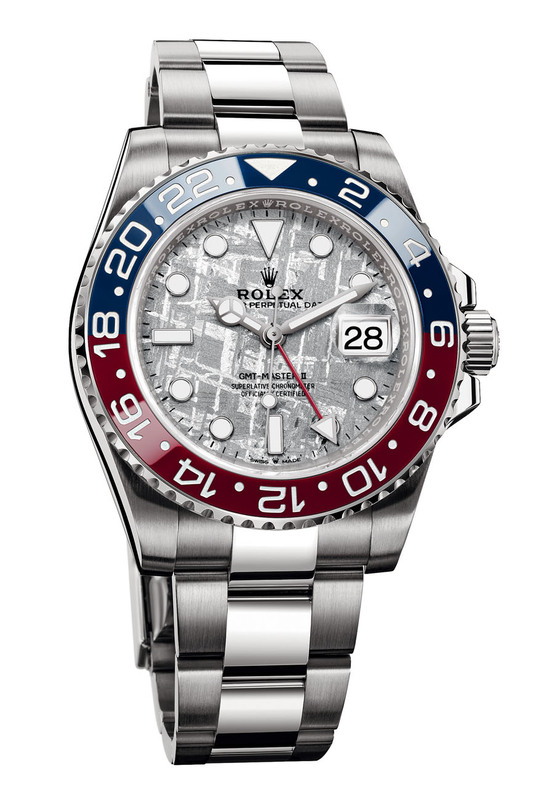 The GMT-Master II range now comprises two steel models with Jubilee bracelet, one Everose Rolesor watch (reference 126711CHNR), one full Everose edition (reference 126715CHNR) and two white gold watches with Pepsi bezels (both with reference 126719BLRO, one with blue dial, one with silver meteorite dial). Apart from the rule of having a bi-colour bezel on all references, the collection is also differentiated between gold or steel models with the presence or not of a Jubilee bracelet. Altogether, there are now six references in the collection. I’m with El Merengue. Don’t get the Jubilee bracelet either. It’s like a suit with frills. I quite like the jubilee bracelet.